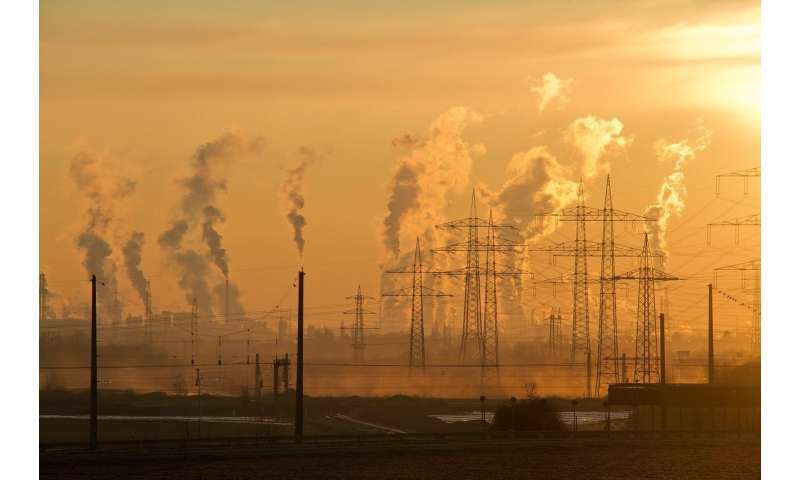 Evidence of tiny particles of carbon, typically created by burning fossil fuels, has been found in placentas for the first time, in new research presented today (Sunday) at the European Respiratory Society International Congress. Previous research has indicated links between pregnant mothers' exposure to air pollution and premature birth, low birth weight, infant mortality and childhood respiratory problems. The new study adds to existing evidence on the dangers of pollution for unborn babies and suggests that when pregnant women breathe polluted air, sooty particles are able to reach the placenta via the bloodstream. The work was presented by Dr. Norrice Liu, a paediatrician and clinical research fellow, and Dr. Lisa Miyashita, a post-doctoral researcher, both members of Professor Jonathan Grigg's research group at Queen Mary University of London, UK. Dr. Miyashita said: "We've known for a while that air pollution affects foetal development and can continue to affect babies after birth and throughout their lives. The researchers worked with five pregnant women who were all living in London and due to have planned caesarean section deliveries at the Royal London Hospital. They were all non-smokers with an uncomplicated pregnancy and each one gave birth to a healthy baby. The women all gave permission for researchers to study their placentas after delivery. The researchers were interested in particular cells called placental macrophages. Macrophages exist in many different parts in the body. They are part of the body's immune system and work by engulfing harmful particles, such as bacteria and pollution particles. In the placenta they also help to protect the foetus. The team studied a total of 3,500 placental macrophage cells from the five placentas and examined them under a high-powered microscope. They found 60 cells that between them contained 72 small black areas that researchers believe were carbon particles. On average, each placenta contained around five square micrometres of this black substance. They went on to study the placental macrophages from two placentas in greater details using an electron microscope and again found material that they believe was made up of tiny carbon particles. In previous research, the team have used the same techniques to identify and measure these sooty particles in macrophages in people's airways. Dr. Liu added: "We thought that looking at macrophages in other organs might provide direct evidence that inhaled particles move out of the lungs to other parts of the body. "We were not sure if we were going to find any particles and if we did find them, we were only expecting to find a small number of placental macrophages that contain these sooty particles. This is because most of them should be engulfed by macrophages within the airways, particularly the bigger particles, and only a minority of small sized particles would move into the circulation. "Our results provide the first evidence that inhaled pollution particles can move from the lungs into the circulation and then to the placenta. "We do not know whether the particles we found could also move across into the foetus, but our evidence suggests that this is indeed possible. We also know that the particles do not need to get into the baby's body to have an adverse effect, because if they have an effect on the placenta, this will have a direct impact on the foetus." Professor Mina Gaga is President of the European Respiratory Society, and Medical Director and Head of the Respiratory Department of Athens Chest Hospital, Greece, and was not involved in the study. She said: "Previous research shows that pregnant women living in polluted cities are more prone to pregnancy issues such as restricted foetal growth, premature birth and low birth weight babies. The evidence suggests that an increased risk of low birthweight can happen even at levels of pollution that are lower than the European Union recommended annual limit. "This new research suggests a possible mechanism of how babies are affected by pollution while being theoretically protected in the womb. This should raise awareness amongst clinicians and the public regarding the harmful effects of air pollution in pregnant women. "We need stricter policies for cleaner air to reduce the impact of pollution on health worldwide because we are already seeing a new population of young adults with health issues."